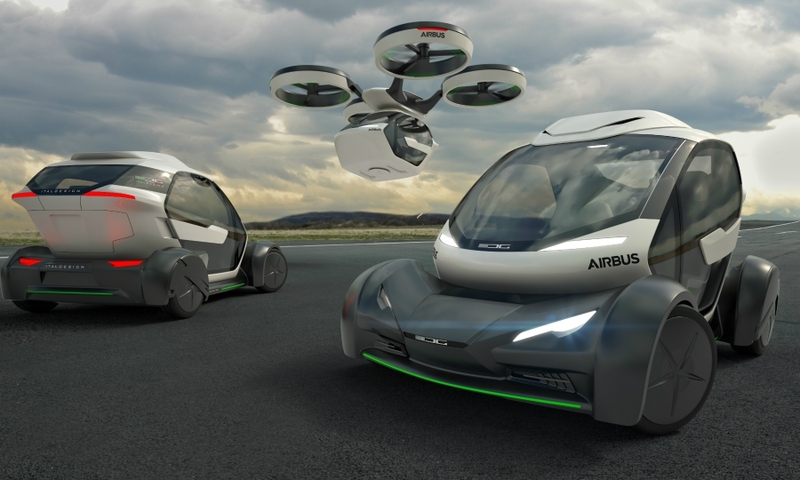 GENEVA -- Italdesign and Airbus offered a glimpse of a possible future solution to traffic congestion with the Pop.Up, a concept vehicle that consists of a passenger capsule that can be coupled with electric power modules for air and ground transport. Beyond the hardware, the Pop.Up system also includes an artificial intelligence platform that will manage the system. 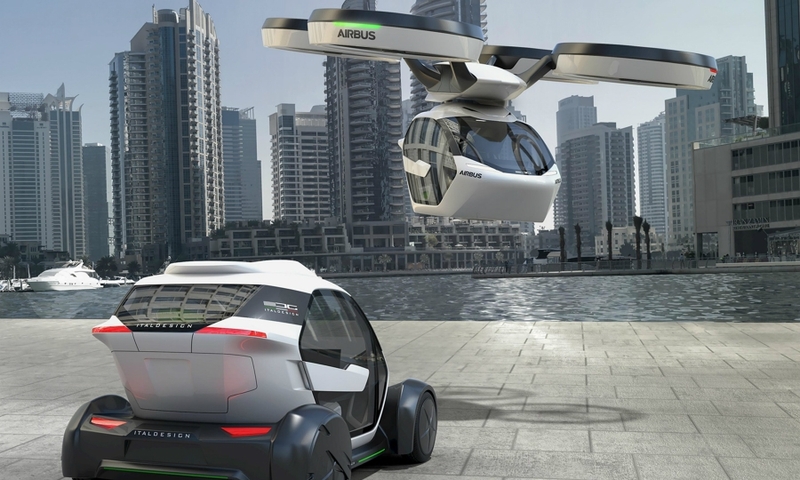 The Pop.Up is a concept for now, said Mathias Thomsen, general manager for urban air mobility at Airbus, but he said a commercially available service could appear in as little as seven to 10 years. "Later this year we will fly our first demonstrations" Thomsen said at the Pop.Up's unveiling at the auto show here on Tuesday. "This is because the technology is already out there." But he suggested that, as with autonomous cars, any such system would face hurdles to implementation, including public acceptance and the need to devise regulations for "things that couldn't have been imagined a couple of years ago." "Popping up into the air is going to be very exciting to me and to many, but novel to others," Thomsen said, "so we need to work with everyone to imagine what that's going to be like." In both air and ground mode, the top speed would be 100 kph, with a range of 100 km in the air (without a payload) and 130 km on the ground. A video of the concept showed how it might work: A city-dwelling woman commands an autonomous passenger capsule using a virtual reality headset. The capsule conveys her to a parking space, where a gyrocopter power unit couples to the capsule and carries her out to the countryside, where her companion is waiting. "The traditional car cannot alone be the solution for megacities," said Jörg Astalosch, the CEO of Italdesign. 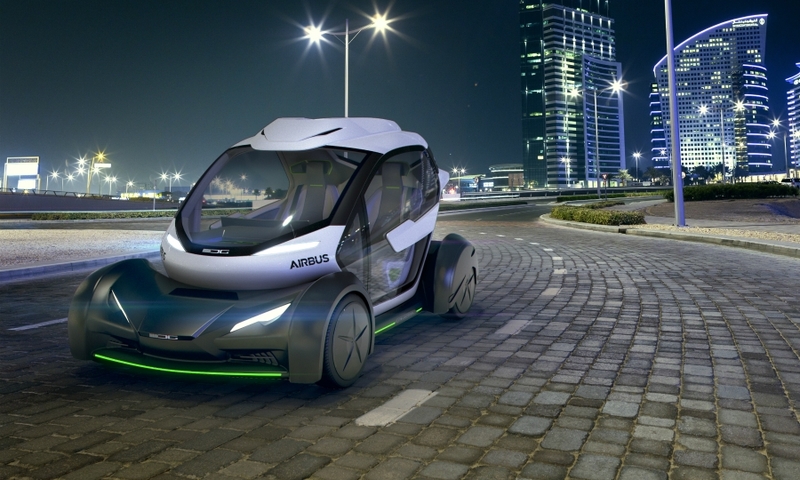 “The mobility of the future will be different from the mobility of today -- the will be shared, they will be autonomous, they will be connected, they will be electric. “It’s important that we have a platform that manages all of that for the customer,” Astalosch said. The partnership with Airbus make sense for Italdesign, Astalosch said. "For us, it's very important to show that we can work with other partners, with tech giants," he said, "because we think we have a lot to give and to introduce to the market, and really want to improve the quality of life." Italdesign, based in Turin, was founded in 1968 by Giorgetto Giugiaro and Aldo Mantovani. Now a subsidiary of Audi, it provides styling, technological and consultancy services, mostly for VW group companies, though it has announced a goal of increasing its non-VW business to more than 50 percent within four years. Italdesign has also formed a separate business division to build ultra-limited-production supercars. Its first effort, the 01, was revealed at the same time as the Pop.Up. Born in the 1960s as a multinational consortium, Airbus, Europe's largest aeronautics and space company, is based in Toulouse, France. Last year, it had revenues of 67 billion euros. 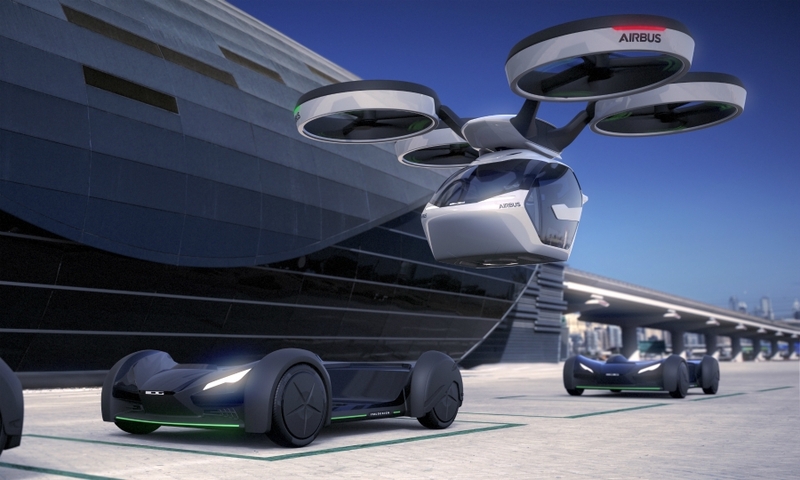 In addition to the Pop.Up concept, Airbus is working on three other advanced projects to relieve urban congestion. One, the Vahana, is from the company’s advanced projects and partnerships division in Silicon Valley, called A^3. 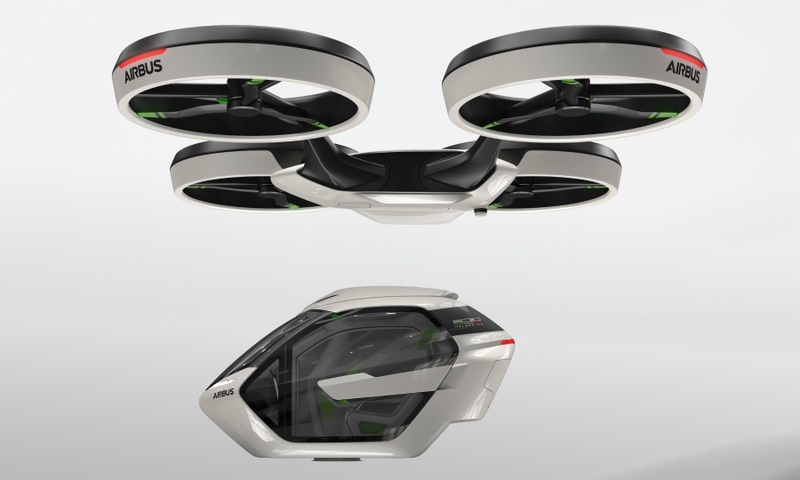 Airbus describes it as "a self-piloted flying vehicle platform for individual passenger and cargo transport." 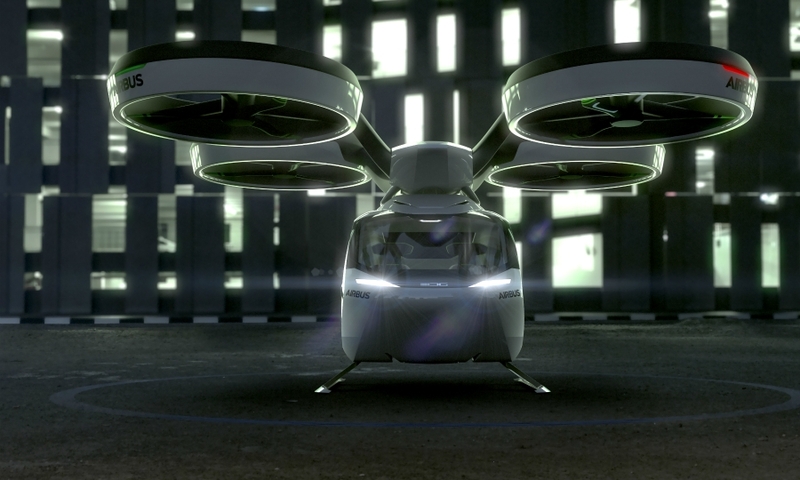 Another, the Skyways project, a so-called "last mile" delivery service, would use an octocopter drone to carry an air transport container on its underside, which would then be delivered to customers. 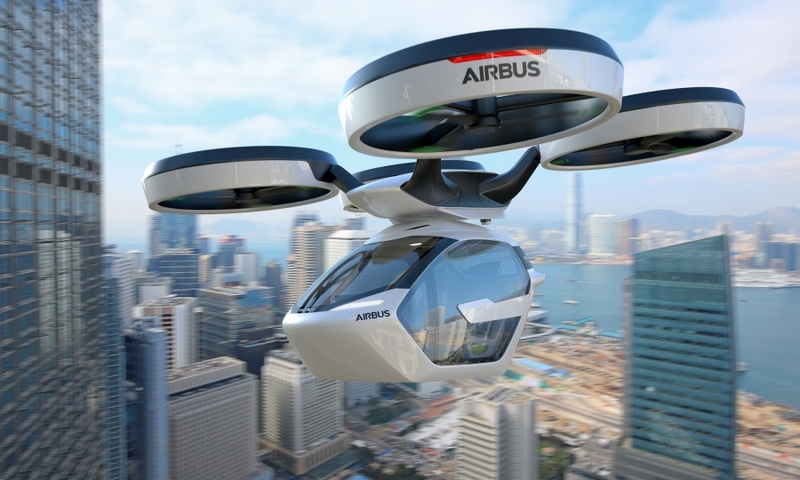 Finally, the CityAirbus would be a semi-autonomous helicopter tax service, though the company has said little beyond that.